The Financial Services Roundtable (FSR) “2017 Year in Review,”—an outline of their priorities and successes—is a remarkable catalogue of attacks on families’ economic security and rights, and on financial stability, in pursuit of still higher returns for the already profitable behemoths of finance. The “year in review” is full of deeply dishonest assertions that the policies they lobby for are good for the public, when they are in fact sought by the big banks, and opposed by groups representing consumers, seniors, veterans and service members, unions and communities. FSR members include some of the biggest Wall Street banks, asset management, and credit card companies. The group was led from 2012 to 2018 by Tim Pawlenty—a former Majority Leader of the Minnesota House of Representatives and former Governor of Minnesota. FSR recently announced plans to merge with the Clearing House Association, which is owned by the world’s largest commercial banks—e.g., Bank of America, Wells Fargo, JPMorgan Chase, Deutsche, Citibank, HSBC, among others. Contrary to what they claim, the CFPB rule was designed to prohibit banks and lenders that break the law from stripping customers of their right to join together and hold them accountable in class action lawsuits. By blocking consumers from challenging illegal behavior in court, forced arbitrations impose secret proceedings in which the average consumer ends up paying the bank or lender $7,725. Moreover, without the option to join together in class actions, only 25 consumers with claims under $1,000 pursue arbitration each year. In contrast, class actions returned $2.2 billion to 34 million consumers from 2008-2012, after deducting attorneys’ fees and court costs. Restricting forced arbitration is key for individual consumers to band together and confront giant financial institutions who have cheated them. Companies like Wells Fargo or Equifax should not be above the law and consumers have a right to hold them accountable. FSR advocated for the passage of comprehensive regulatory reform bills in the House and Senate. They claim “it is important to modernize financial regulations for banks of all sizes to ensure they are appropriately calibrated and are not unnecessarily holding back lending and impeding economic growth.” Specifically, the FSR advocated for, the Financial CHOICE Act, and Rep. Luetkemeyer’s regulatory modernization bill in the House—even more radical attacks on financial regulation than Chairman Crapo’s bill in the Senate (S.2155), which the FSR also endorsed. In reality the CHOICE Act and Rep. Luetkemeyer’s bill were radical and far-reaching measures constructed out of the legislative wish lists of the biggest Wall Street banks and the worst predatory lenders as well as debt collectors and other unscrupulous financial actors. The bills the FSR pushed for harm consumers and threaten the stability of our economy in several ways, including by: repealing the Volcker Rule, which bars banks from acting like hedge funds and gambling with taxpayer-guaranteed funds; undermining the authority and funding of the Consumer Financial Protection Bureau, which has returned nearly $12 billion to 29 million people wronged by financial institutions; and by drastically weakening the oversight authority of the Federal Reserve over large banks. The bills backed by FSR also unleash predatory lending and remove mortgage-lending rules that protect homebuyers. The bills pushed by the FSR not only deregulate based on false premises but also impose numerous barriers to regulatory action that would tie the hands of regulatory agencies if they wished to take action to protect consumers and the public interest in the future. Moreover, claiming that regulations are holding back lending is just not true. Bank credit had been continuously growing since 2010—after the passage of the Dodd-Frank Act. According to a recent FDIC quarterly banking profile, total loans and leases increased 3.5 percent for the twelve months ended September 30, 2017. While lending by community banks, the “usual victims” on FSR-style rhetoric, continued to exceed the industry average, growing at an annual rate of 7.3 percent and posting close to record-high profits. S. 2155, the deregulatory bill just passed by the Senate, weakens rules on dozens of large banks and undermines consumer protections in numerous ways—including, exposing home buyers to financial exploitation and predatory lending, as well as enabling racial discrimination in mortgage lending. But these changes are still only a small part of the FSR massive deregulatory agenda. If the FSR has their way, S. 2155 will only be the first step in enabling the financial sector to increase its profits in ways that exploit consumers and endanger the economy. FSR worked to delay the Department of Labor’s (DoL) conflict of interest (or “fiduciary) rule for retirement investment advice. Without the fiduciary rule there are huge loopholes in retirement savings protections that make it easy for salesmen who present themselves as “advisers” to put maximizing their own compensation ahead of the best interests of their customers. In the absence of these protections, sellers of financial products can steer customers to investment products that pay benefits to the seller at the expense of the retirement savings of working families. The Department of Labor has demonstrated that ordinary savers lose tens of billions of dollars a year due to these conflicts of interest. FSRs efforts actually stopped the progress of programs that would have made retirement more secure for millions of workers. As explained in a joint letter to Congress signed by over 50 organizations, while the regulation in question includes an exemption from the ERISA standards, “state-sponsored programs do not get rid of [those] responsibilities, but rather shift them to the programs themselves. The regulations therefore preserve accountability and ensure consumer safety, while alleviating the burdens that keep small businesses from offering retirement benefits.” Actually, FSR applauded the repeal of regulations making it easier for state and local governments to extended retirement savings programs to some of the 55 million workers without employer-sponsored retirement plans. Until the repeal of the rule got in the way, five states (California, Oregon, Illinois, Connecticut, and Maryland) were in the process of establishing programs that would have extended retirement security to 13 million workers, mostly low- and middle-income earners and minorities–only three of those states (California, Oregon, and Illinois) have moved forward with their programs. Their misleading “push” for Federal intervention on this issue is actually about “enacting a preemptive federal breach notification law … [with] language that not only preempts state breach notification laws but also prevent states from enacting any future data security or privacy laws,” as noted by Ed Mierzwinski, U.S. PIRG Consumer Program Director. FSR’s letter calls for federal regulation that seems to ignore any non-financial harms that consumers could suffer as a result of a data breach or that would not “expand the range of information protected by the law as technology develops.” Breaches cause much more than the “identity theft and financial harm” for which FSR want to provide notice. For example, it can cause emotional stress, reputational damage, and even physical harm as the personal information of domestic violence victims could be used to track them down. Enforcement of the desired regulatory framework in their letter would exempt companies complying with the Gramm-Leach-Bliley Act (GLBA), even when these companies are not required to notify breach victims ever. The GLBA exemption includes all banks and many broadly defined financial firms—including Equifax. This bill only further rigs the tax code in favor of profitable Wall Street banks and the wealthiest 1 percent. The so-called “increase in paychecks” in reality has translated into a one-time bonus while the firms benefit from permanent lower taxes going forward. Companies like AT&T, Comcast, and Walmart are quietly laying-off hundreds of employees while others are gearing up to buy back their own shares to pump up their value. In fact, the FSR pushed the tax bill because of its huge tax benefits to Wall Street and Wall Street executives and its massive gifts to households in the top one percent of the income distribution—who stand to accrue an amazing 83 percent of the total tax cut benefits by 2027. Instead of promoting policies that would directly benefit workers—e.g. a higher minimum wage, strengthening labor standards and worker’s bargaining power—FSR’s President favors a “trickledown” approach to wage growth, ignoring that the almost forty-year-long trend of wage stagnation for middle- and low-wage workers refutes such approach. FSR’s 2017 yearly review lays out ‘progress’ on the wish list of some of the worst actors in the financial system, many of which are directly responsible for the last financial crisis and economic recession and have a history of cheating their own employees and defrauding consumers—e.g., JPMorgan, Bank of America, Citi, Wells Fargo, Santander, First Republic. Their 2017 highlights are a direct attack on consumer protections and the financial stability of our country. Payday lenders Scott Tucker and Charles Hallinan are each facing trials for doing what payday lenders do best: cheating consumers out of their hard earned paychecks. Hallinan and Tucker have each been charged for veiling their businesses as other entities to enter the payday loan market in states where payday lending is illegal or restricted. In Hallinan’s case, he allegedly paid someone else to claim that they were the sole owner of his payday lending business. According to the Philadelphia Inquirer, “That alleged swindle, prosecutors now say, helped Hallinan escape legal exposure that could have cost him up to $10 million.” He is facing charges of racketeering, conspiracy, money laundering, and fraud–the typical charges associated with a mobster. And this is the man considered the payday industry’s pioneer. Meanwhile, Dale Earnhardt Jr. wannabe Scott Tucker, is also accused of committing fraud by trapping customers into paying fees that were not advertised in order to illegally take more than $2 billion out of the pockets of over four million consumers. What did he do with that cash? He bought six ferraris and four porsches. Not a car or a pair of cars, but a fleet. Apparently, for Scott Tucker, “cool” cars are of more value than consumers, communities, or the law. Scott Tucker even has a hack brother who devised his own hack scam based on older brother Scott. 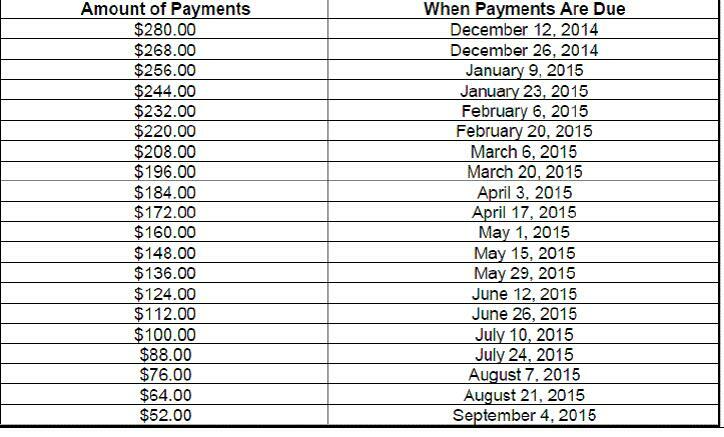 In fact, just last week, a federal judge ruled that Joel Tucker has to pay $4 million in fines for his own misdeeds. Looking beyond this sheer pulp fiction, these predatory practices are actual tragedies for their victims, and, unfortunately, they are not aberrations. Usury is a staple of the payday lending industry. Hallinan even admitted to what he thought was a colleague, “‘in this industry,’ he said, ‘to build a big book, you have to run afoul of the regulators.’” Plain and simple–these guys are loan sharks. Luckily, due to strong protections and federal oversight, prosecutors and regulators like the Consumer Financial Protection Bureau are working to stop these payday lending scams. But if Charles Hallinan, a pioneer in the payday loan industry, is facing racketeering charges, it just may show that the whole payday lending model is a racket. We must protect our communities by supporting protections issued by the Consumer Bureau and state governments against this corrupt industry. Without fair rules and strong enforcement, con artists like Tucker and Hallinan will continue to make billions off the backs of poor people. During a recent appearance on “Meet the Press,” unofficial Trump advisor Corey Lewandowski called forthe removal of Richard Cordray as director of the Consumer Financial Protection Bureau. His statement seemed to come out of nowhere, prompting NBC’s Chuck Todd to seek an explanation: Did Lewandowski happen to have “a client that wants” Cordray fired? Community Choice is one of the country’s biggest players in the world of triple-digit-interest payday and cash loans. Majority-owned by Diamond Castle Holdings, a private equity firm with $9 billion in assets, the company has more than 500 storefronts and does business (factoring in its online as well as physical operations) in 29 states. The company’s CEO has described the Consumer Bureau as “the great Darth Vader” of the federal government, and the source of that ill-feeling is plain to see. The Consumer Bureau is getting ready to issue a set of consumer-lending rules that, if they resemble a proposal put forward last year, will require verification of a borrower’s ability to repay. That simple concept runs directly counter to the business model of the payday industry, which is to keep its customers in debt indefinitely, making payments that put little or no dent in the principal. Many people end up spending more in loan charges than they borrowed in the first place. Another complainant describes a series of phone calls and “threats of criminal prosecution… on a loan I know nothing about, did not apply for or receive, and have never received any bills for.” Community Choice and its subsidiaries – companies with names like Easy Money, Cash & Go, and Quick Cash – figure in more than 650 Consumer Bureau complaints, over unexpected fees, uncredited payments, bank overdraft charges triggered by oddly-timed electronic debits, and collection efforts that continue even after a debt has been fully repaid, among other recurring issues. Community Choice has also been a pioneer in in the subspecialty of evading state interest-rate caps. 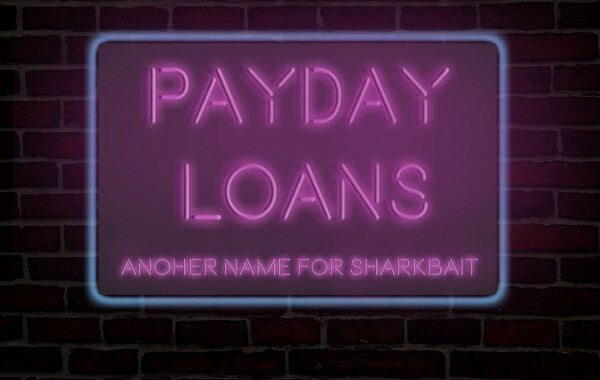 In Ohio and Texas, among other states that have tried to ban payday loans, Community Choice’s payday shops have camouflaged their predatory loans by using bank-issued prepaid cards with credit lines and overdraft charges; calling themselves mortgage lenders instead of consumer lenders; and registering as credit repair companies in order to charge separately for their supposed assistance in resolving people’s financial troubles. The success of these legal workarounds tells us that it will be very hard for the states to address the scourge of payday lending without help. That’s why payday lenders are pushing Congress to strip the Consumer Bureau of its authority over them. And, that’s why Community Choice brands CheckSmart and Cash Express have been generous contributors to sympathetic members of Congress, and why – with the help of Lewandowski and other mouthpieces – the industry is trying to get the Trump administration to remove the Bureau’s director (even if there is no legal basis for doing so) and replace him with someone who can be depended on to leave payday lenders alone. Lewandowski may be too embarrassed for the moment to continue raising his voice on the industry’s behalf. We can hope that’s true, at any rate. With or without his assistance, however, the industry’s campaign will continue, and the Lewandowski episode has made the stakes very clear: Will the Consumer Bureau be allowed to go on doing the job it was created to do, standing up to the financial industry’s power and insisting on basic standards of transparency and fair play? Or will some of the financial world’s fastest and loosest operators find a way to undermine this agency and keep it from cracking down on their abuses at great long last? The Consumer Financial Protection Bureau is marking a double birthday. As an institution, it turns six this week. As an idea, it goes back ten years – to the summer of 2007 and an article by a little-known expert on bankruptcy and household debt named Elizabeth Warren. One big reason for that difference, Warren wrote, was the Consumer Product Safety Commission, which had been watching over the world of toasters, power saws, baby cribs and the like since 1972. By contrast, the task of guarding consumers against defective financial products was scattered across half a dozen federal agencies; and their main concern, as she noted, was “to protect the financial stability of banks and other financial institutions, not to protect consumers.” Indeed, one of those agencies, the Office of Comptroller of the Currency, had repeatedly encouraged banks to thumb their noses at the handful of state regulators who were trying to crack down on predatory lending in the years leading up to the 2008 financial crisis. As a remedy, Warren urged Congress to establish a watchdog agency with the full-time job of guarding consumers against deceptive and unfair practices in the financial marketplace, removing dangerous products before they could be peddled to the public. Fortunately, President Barack Obama found a highly capable candidate in former Ohio Attorney General Richard Cordray. Under his leadership, the Consumer Bureau has racked up an impressive record of accomplishment. All told, CFPB enforcement actions have delivered more than $17 billion in financial relief to roughly 29 million consumers cheated in various ways by financial companies large and small. Through its rulemaking and supervision as well as enforcement work, the Bureau has challenged a number of the financial industry’s cherished tricks and traps, like mortgages with teaser rates that adjust sharply upward after a year or two, and auto loan incentives that cause borrowers of color to be charged more than white borrowers of the same credit-worthiness. The CFPB has gone after abusive practices on the part of debt collectors, check cashers, private student lenders, and bogus “credit repair” services, as well as large-scale fraud committed by some of the country’s biggest banks, including JP Morgan Chase, Bank of America, and Wells Fargo. In short, this is an agency that has been doing its job, standing up for ordinary consumers and resisting the power of the financial industry. But that power remains very great. Since last fall’s elections, Wall Street lobbyists and their allies in Congress and the Trump administration have waged an all-out campaign to undermine the Bureau’s funding and authority as well as a number of its specific actions. Just this week, they launched an effort, with wide backing in both the House and Senate, to undo a CFPB rule reining in the industry’s use of fine-print forced arbitration clauses with class-action bans. The industry’s attachment to this practice is easy to understand. Arbitration can be a just and efficient mechanism for resolving disputes between relatively equal parties who voluntarily agree to it. But the process works very differently when one party is a huge corporation and the other is a lone consumer required by a take-it-or-leave-it contract to direct all complaints of illegality to a private arbitration firm – one that has typically been chosen and paid by the company. The damages suffered by any one victim, moreover, are almost never large enough to justify the cost of pursuing a grievance, regardless of the venue. Thus the great majority of wronged consumers, once they learn that individual arbitration is the only path open to them, decide to do nothing. That’s just what happened, for example, with many of the victims of Wells Fargo’s phony accounts, enabling the bank to keep its scam under wraps for years. In the same way, payday lenders have used these clauses to go on making triple-digit interest loans in defiance of state laws. Arkansas, for example, has a 17-percent interest rate cap inscribed in its constitution; yet it took authorities many years to make headway against lenders who continued to operate there, relying on arbitration clauses to squelch resistance. This fight is crucial because forced arbitration, in practice, functions as a Get Out of Jail Free card for banks and lenders, allowing them to chisel lots of money out of lots of people, a little at a time. Naturally, the lobbyists and their political allies claim to be defending the “right” of consumers to choose arbitration. In reality, consumers have no say in the matter. The point of the CFPB rule is precisely to give them a choice. Unsurprisingly, the great majority of Americans support the CFPB on this question, just as they want the Consumer Bureau itself to survive as a strong and effective agency. It will if lawmakers heed their constituents and stop regurgitating Wall Street’s nonsensical talking points. What should be done to stop banks like Wells Fargo from scamming us? Wells Fargo’s CEO John Stumpf deserves every bit of the anger that the Senate Banking Committee directed at him for leading Wells Fargo while it created more than 2 million fake deposit and credit-card accounts, and then charged unknowing customers for them. Stumpf has tried to lay the blame at the feet of workers. But this was not the behavior of a few out-of-control workers. The problem was systematic, and it followed from Wells Fargo’s use of high-stakes sales quotas for its employees. As the Los Angeles City Attorney’s office explained in its lawsuit, these quotas were often impossible to fulfill, and yet employees who fell short were often fired. But Wells Fargo’s failure points to a broader problem. After all, this is hardly the first time Wells has faced scrutiny for illegal acts. As Senator Sherrod Brown (D-OH) pointed out, this is only one of 39 enforcement actions that Wells has faced in the last ten years. Wells Fargo has racked up over $10 billion in fines for offenses from racial discrimination in mortgage lending, tomortgage fraud, to violations of the Americans with Disabilities Act. So what should be done to stop banks from scamming us? Americans for Financial Reform has five specific proposals. Last week, we learned from an important joint enforcement action by the CFPB, OCC and Los Angeles City Attorney that Wells Fargo had opened accounts for 2 million customers without their consent. Bank employees had been pressured to do so by aggressive sales quotas that could not be met through actual sales. This week, we are appalled by the further news that the executive who oversaw the unit responsible for this fraud was not fired, and in fact is retiring with nearly $125 million in compensation. Regulators have a tool in front of them to make it harder for bank executives to get away with giant pay packages in cases of lawbreaking and abuse. Section 956 of Dodd-Frank and Section 39 of the Federal Deposit Insurance Act give the watchdogs a mandate to stop banks from rewarding executives for practices designed to produce short-term gains with long-term risks. The regulatory agencies should exercise their existing authority to compel banks to use pay-clawback mechanisms, and they should make sure the final rule implementing Section 956 requires banks to take back pay from executives who oversee lawbreaking. In addition, the CFPB and OCC should refer their findings to the Department of Justice for a full investigation.